Will folding devices prove popular or be a niche product? 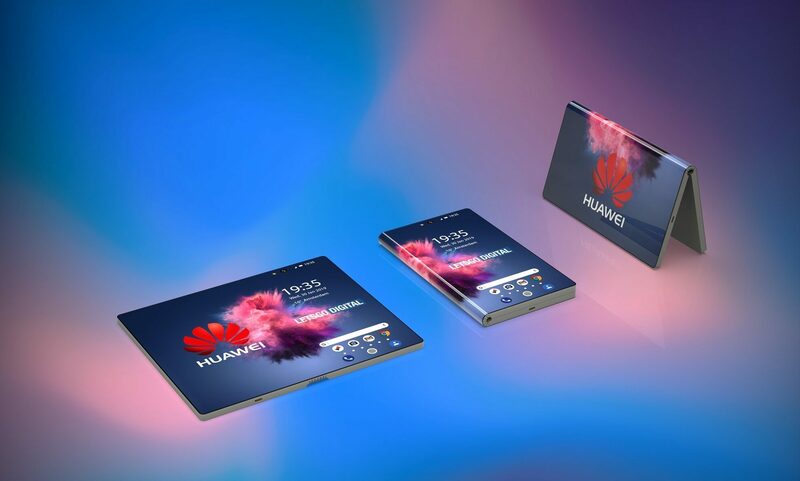 Something to look forward to: We already knew that Huawei is one of several companies working on a folding phone, and it won’t be long before we see it. The Chinese tech giant has confirmed that its 5G-capable device will debut at Mobile World Congress in Barcelona next month. With Huawei’s MWC keynote set for Sunday, February 24th, there are just over three weeks until it officially shows off the phone. The company tweeted that the event will see the launch of "the world's first 5G foldable device." The phone will use the new Balong 5000 5G modem, which is expected to be integrated into its next-gen Kirin 990 SoC—the successor to the current 7nm Kirin 980. Forbes reports that the modem also supports 2G, 3G, and 4G, while offering wireless speeds 10 times faster than 4G and twice as fast as Qualcomm's X50 5G modem. There are still no official images of what the phone will look like, but Dutch site LetsGoDigital created some 3D renders based on leaks and rumors. If accurate, the device has a single fold, unlike Xiaomi’s double-folding device that it showed off recently. The publication also notes that Huawei registered the names Mate Flex, Mate Flexi, Mate Fold and Mate F, so the folding handset could take one of those monikers. Samsung is set to unveil its foldable phone, along with the Galaxy S10, on February 20, beating Huawei to the punch. We also know that Oppo, Motorola, and LG are working on folding devices, meaning 2019 could be the year of the bendable handset.